Life According to Steph: Sunscreen. You need it. Memorial Day weekend is the unofficial kickoff to summer, so it's the perfect time for me to nag you about using sunscreen daily. May is Skin Cancer Awareness Month. Most people my age and older had some pretty severe burns in childhood because skin cancer just wasn't a thing back then. Sometimes we went out and intentionally fried ourselves in the name of a tan. Sun protection is essential to skin cancer prevention – about 90 percent of non-melanoma skin cancers and 65 percent of melanomas are associated with exposure to UV radiation from the sun. These days I don't leave the house without sunscreen on my face all year round and sunscreen on my body any time my skin will be exposed to the sun, even just commuting or walking around at lunch. Anyway, I typically use Neutrogena Clear Skin SPF 50 on my face. I vary my body sunscreen and currently have COPPERTONE Sport and Hawaiian Tropic with the shimmers on deck. I always use SPF 15 or higher. 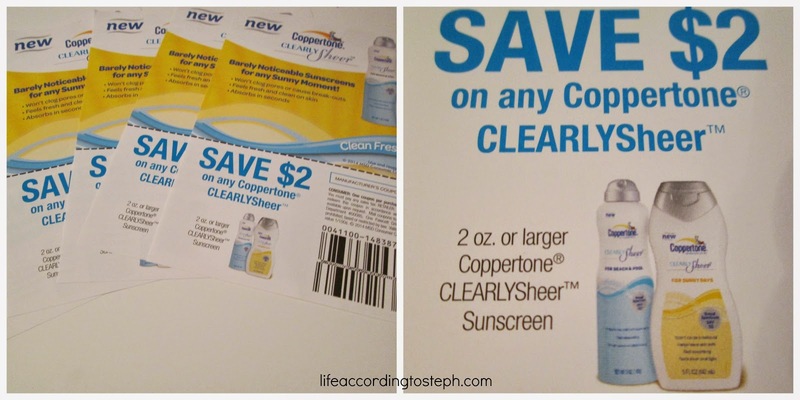 I recently received free samples of COPPERTONE®CLEARLYSheer™ sunscreens for free from BzzAgent and tried it out last week when I was running my errands and planting my flowers. It's safe for your face so I tried applied it everywhere. I used the lotion on my face and the spray on my body. My basic requirements for body sunscreen are: I do not want any sticky crap that leaves a residue and I like for it to smell good. COPPERTONE CLEARLYSheer is lightweight and sinks in quickly. It was pretty moisturizing too, and it didn't appear to clog my pores or make me break out. Instead of smelling like the beach, it has a light almost citrus-y scent, which makes it perfect for weekdays...it's easier to sit in your office and not long for the beach when you're not smelling like it all day. 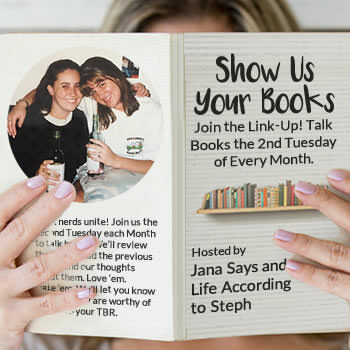 I have five $2 off coupons for COPPERTONE CLEARLYSheer to share, so the first five people who email me at lifeaccordingtosteph@gmail.com will get one in the mail. They expire August 15. Sunscreen. Don't leave home without it like I did when I went to the shore in April and got a damaging and embarrassing sunburn and had to wear the cone of shame for the rest of the week. You will wear the cone of shame! "You will wear the cone of shame!" Bahaahahahahaha! I'm glad you mentioned how it didn't seem to break you out... that's always my very first question about sunscreens!! Hook a sister up with one of those coupys! Good call on the sunscreen. I just recently started buying face moisturizer with sunscreen in it to wear year-round...figured I'm not 19 anymore and it's something I should probably actually start thinking about. I've been blessed with decent skin and I have a lot of people say I look younger than I am and I'd like to keep it that way as long as possible!! I'll have to look into that ClearlySheer stuff - I doubt they sell it in town because they're dumb and never get anything new at the stores but maybe on Amazon or something. I should have read this earlier yesterday before my outing :) I always wear it on my face but I'm slack about wearing it for days I'm not expecting to "do" something outside. I always use sunscreen on my face but I forget to grab it on days I'm just walking about outside. Great reminder! I never ever use a sunscreen lower than SPF 15 since I spend a LOT of time next to reflective water, I will even use 50 if I feel like I'm turning even a little red. I do remember tanning in high school, I used baby oil with SPF nothing. I want to kick myself for that now. I was always terrible about sunscreen and only recently became better about it. Although I used SPF50 my entire trip to Florida and didn't get any color- boo. But no cancer either... need to remember that is more important!